Forever permanent water, ocean and mountain views, end of road privacy, lush green pasture, expansive 2 metre high stockyards with separation yards, crush, inbuilt scales. 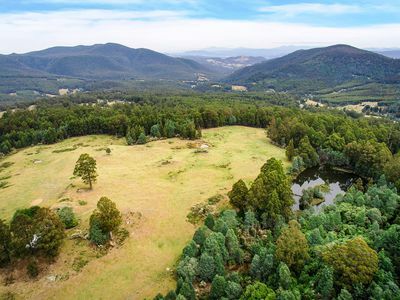 In all 5 individual titles, 97 ac with ocean views and old cottage, 99 acres half pasture and bush 3 million gallon lake, 51 acres with good hay paddocks dams panoramic views, 54 acres sunny half bush/pasture and dams, 16 acres fertile soil amazing fast flowing water (surface) spring water enough to run small water turbine. 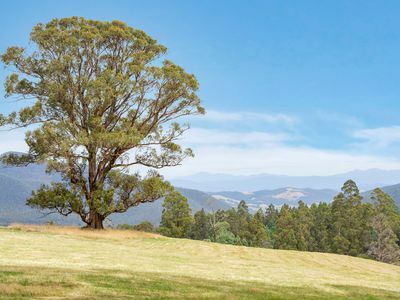 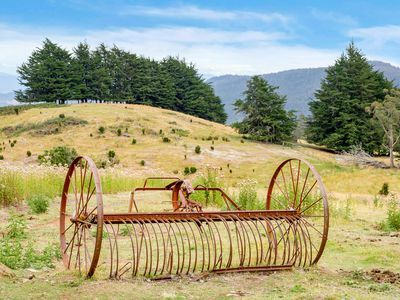 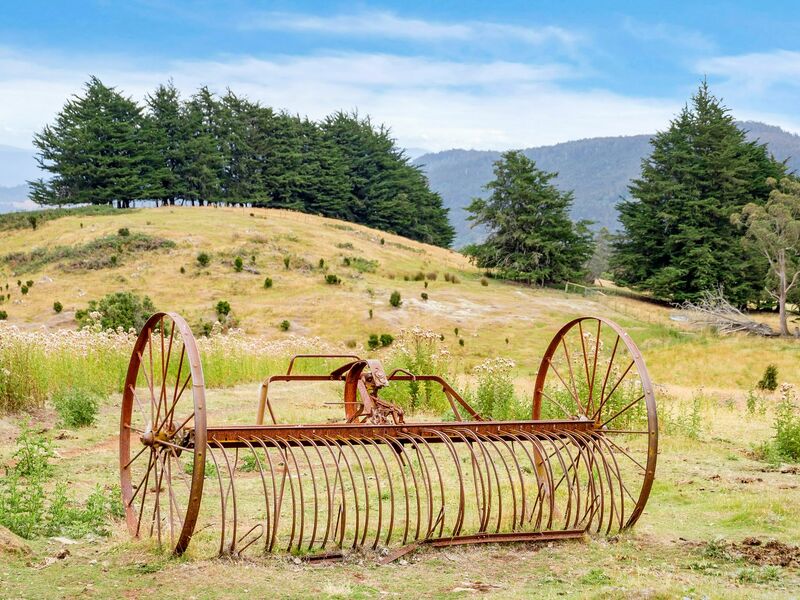 Rare and unusual find of large self sufficient farmland- 318 Acres in all totally private just 30 minutes drive from Hobart city. 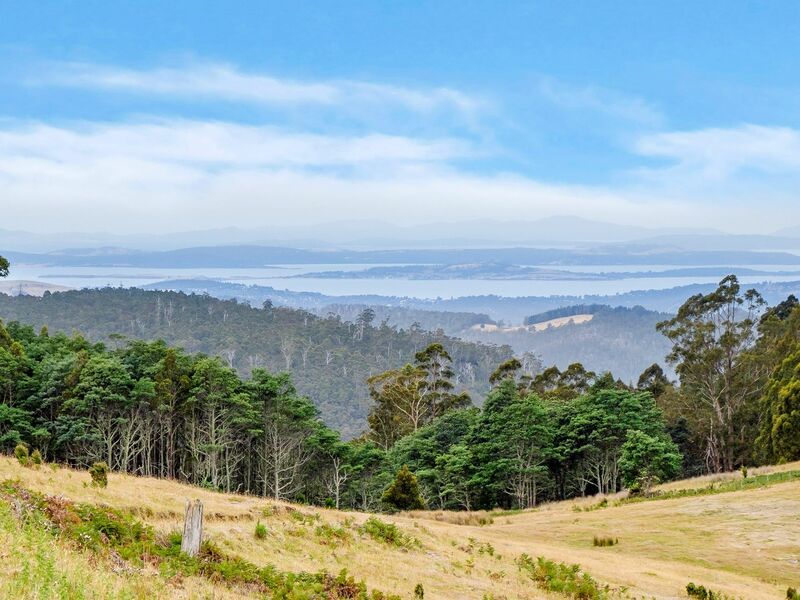 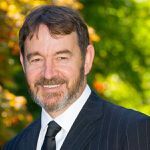 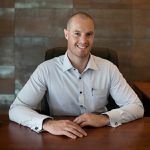 Incredible view across north west Bay, Ralphs bay and storm bay to the east and magnificent panoramic view across Kaoota and Pelverata valley to Adamson’s peak, Hartz ranges and Pelverata waterfalls. Land elevation 660 metre above sea level, full sunshine and outlook- sometimes snow covered as winter wonderland. 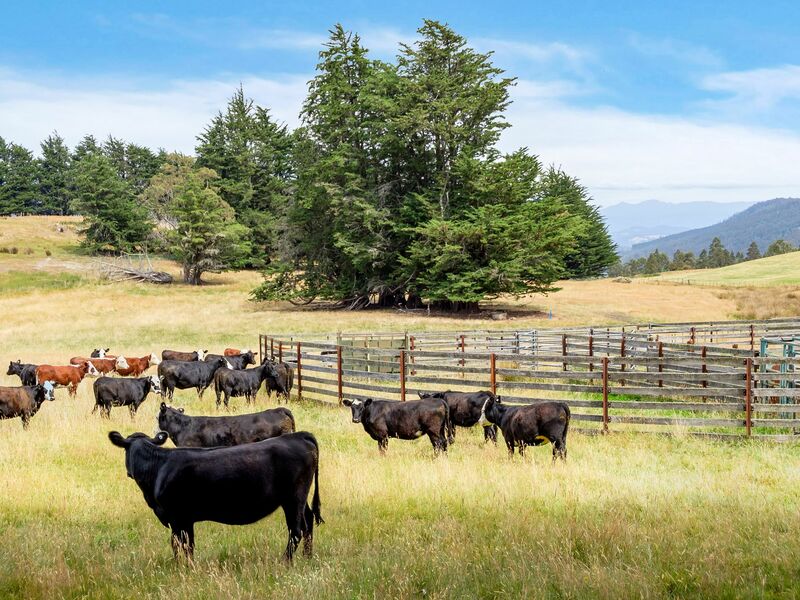 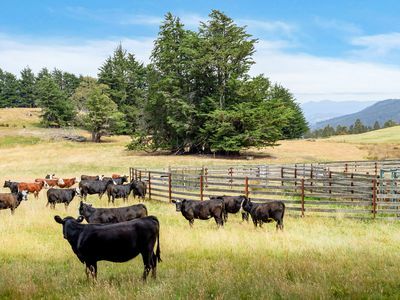 Currently property is capable of running 100 head of cattle year round. 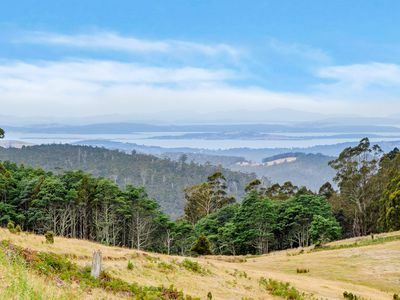 Enchanting forest walks tall tree ferns 100’s of year old, pockets of rain forest. 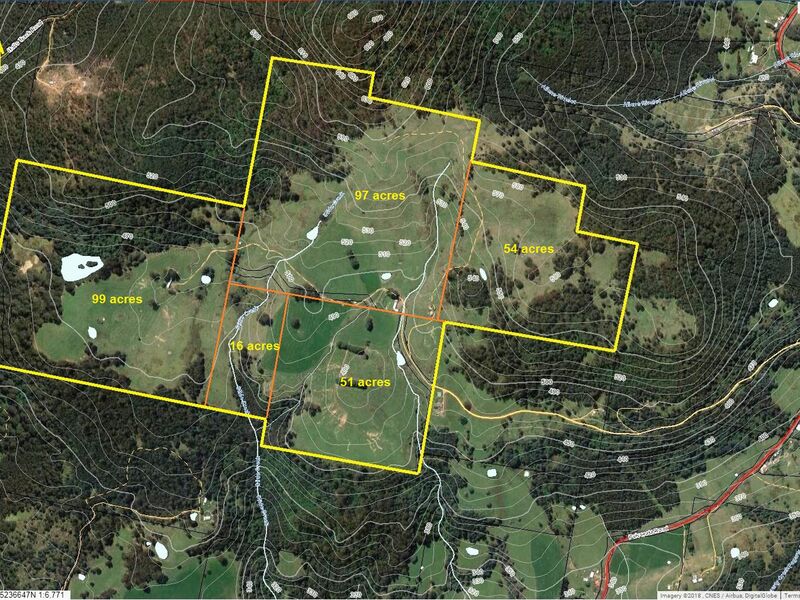 Property capable to sustain a varied type of stock or even cropping with endless water. 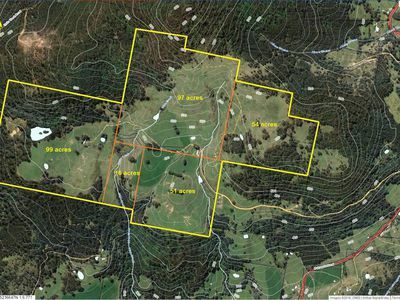 No neighbours and with 5 lots each capable of having a home built on someday. 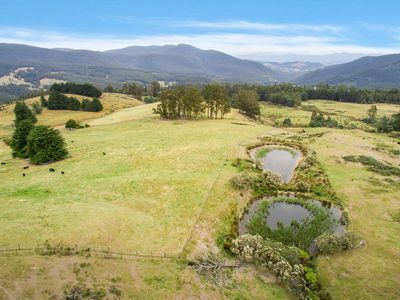 Please feel free to call or email to arrange a tour over this paradise found (platypus and trout abound in lake style lagoon).